When playing for real money at an online casino site, it is imperative that you choose a reputable casino that is licensed by a trustworthy gambling jurisdiction. Curaçao e-Gaming is one of the most respected licenses available in the online gambling world – read on to find out more about this esteemed gambling jurisdiction, what Curaçao e-Gaming does to protect players, and where you can play at Curaçao certified casino sites. Curaçao is a Dutch Caribbean island that lies approximately 65 kilometers north of the Venezuelan coast, forming part of the Kingdom of the Netherlands. Although famed for its beaches and stunning coral reefs, Curaçao has also become a thriving jurisdiction for online casino licenses, with many leading online gambling vendors now seeking licensing from Curaçao. The country’s strong economy and tax breaks make it an appealing jurisdiction for gambling operators, while Curaçao also adheres to the EU Code of Conduct to provide extra peace of mine for players and operators. Authorised by the Government of Curaçao as a Master License holder, Curaçao e-Gaming has been providing online gambling licenses and information compliance services to qualified applicants since 1996, making it one of the oldest and most politically stable providers of online casino licenses. If you see an online casino with an official Curaçao e-Gaming license, you can rest assured it is a safe and reputable venue that has gone through a lot of hoops to gain its accreditation. What does Curaçao e-Gaming do? The Curaçao e-Gaming mission statement is to supervise and ensure the integrity of its licensed operators and providers of services. The difference with this jurisdiction is that licenses are issued specifically for the online gambling industry, rather than encompassing both the remote and land based gambling activities in the area. This means Curaçao e-Gaming can focus solely on online activities, making it a niche authority that truly understands it marketplace. Curaçao e-Gaming only offers one license type, encompassing all forms of remote gambling including online casinos, sports betting, exchanges, lotteries, games of skill and games of chance. 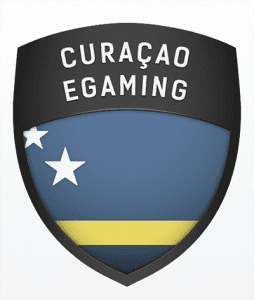 Upon issue of a Curaçao license, vendors hold a eGaming Licensing Authority to Operators of Services, Software and Services Providers and can display the official Curaçao certification seal on their websites. Curaçao offers an all-in-one package for service providers, helping with all services necessary to legally support the vendors operations. The package includes consulting, issuing of gambling licenses and compliance supervision along with additional provisions like banking assistance, hosting services, payment processing, back office support and administrative and legal services. How does Curaçao e-Gaming protect online players? An online gambling provider must go through a rigorous testing process before receiving approval from Curaçao e-Gaming, ensuring licenses are only awarded to reliable applicants who will preserve the reputation of Curaçao as a preferred online gambling jurisdiction. The vendor must provide all necessary information, including proof that it is of solid financial standing, while ticking off a number of compliant items on the e-Gaming checklist. Once a license has been issued, the venue is audited regularly under the supervisions of the commission, ensuring the terms of the license are complied with at all times. It is also the job of Curaçao e-Gaming to assist players with any queries or complaints they may have with a vendor with Curaçao licensing. Many leading online gambling operators have sought licensing from Curaçao, our favourite of which is Joe Fortune. Joe Fortune caters exclusively to the Australian market, offering a wide range of slot games, video poker, table games and specialty games available for free and real money play without requiring any software downloads. New players can claim a hefty welcome bonuses upon depositing money for the first time, and Joe Fortune even accepts payments in Bitcoin, making it one of the first casino sites to accept this virtual currency method. Is it safe to play at a casino with offshore licensing? It is perfectly understandable that online players are wary about playing at a site licensed offshore, but the reality is that most countries have strict laws in place that prevent online gambling vendors from operating within their borders, so your only choice is to play at an offshore casino with legitimate licensing. As long as the casino is licensed by a reputable and upstanding gambling jurisdiction, it is safe to place real money bets online. Keep in mind that the online gambling laws vary from country to country, so it is your responsibility to be aware of the laws that apply to you. To find out more about other gambling jurisdictions you can trust, check out our jurisdiction hub page that includes information about Malta Gaming Authority, the UK Gambling Commission, Alderney Gambling Control Commission, Gibraltar Betting & Gaming Association and Isle of Man Gambling Supervision Commission.